What do President Obama and a bunch of teenagers have in common? It turns out they like to appear in selfies at memorial services. 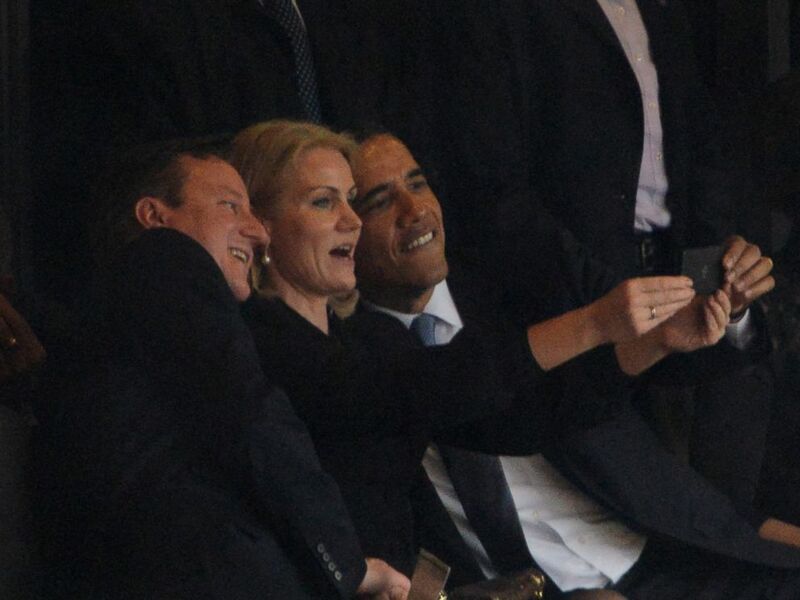 Denmark's Prime Minister Helle Thorning Schmidt appeared to hold out her smartphone for a three-way selfie at a service honoring Nelson Mandela today in Johannesburg. 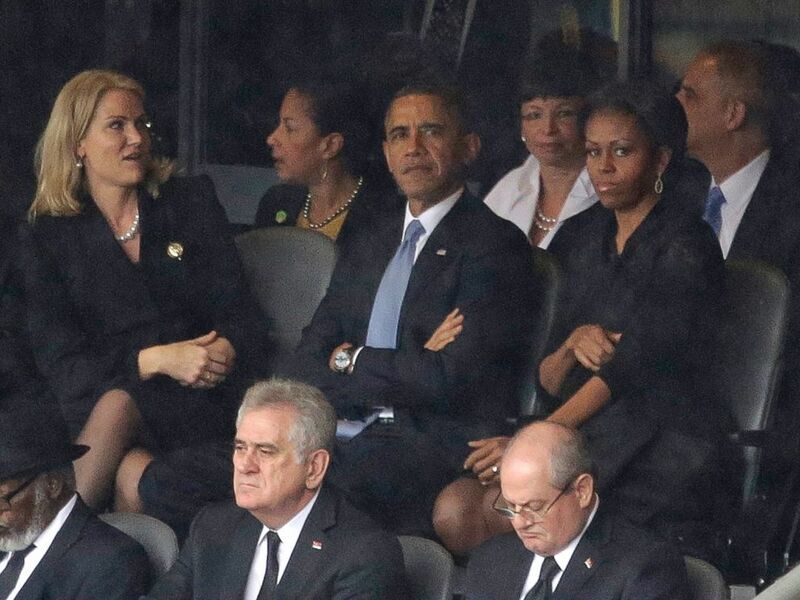 Obama, who sat to her left, and British Prime Minister David Cameron, who sat to her right, leaned in close for the snap. 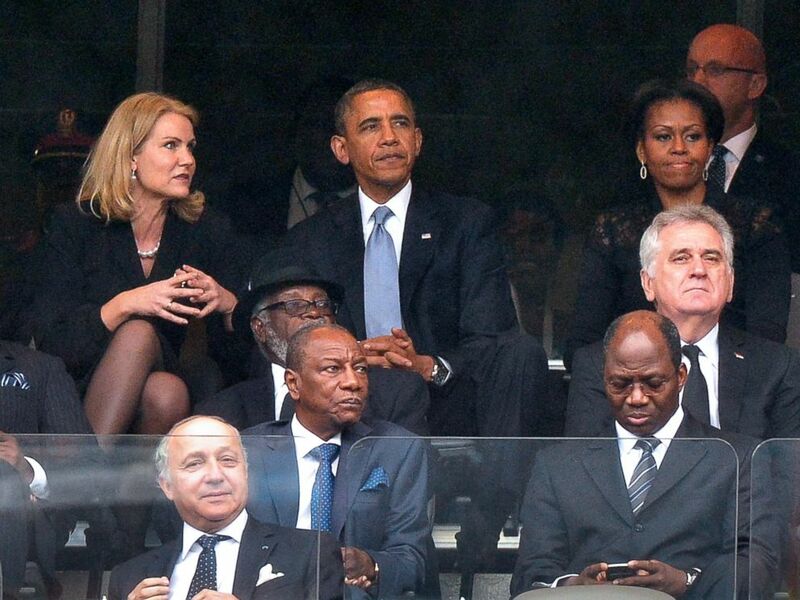 Meanwhile, a serious-looking Michelle Obama looked like she was not at all interested in taking part in the pic. The first lady was captured in photographs with an icey stare, though it remained unclear whether they were taken before or after the selfie. The selfies at funeral trend was popularized thanks to a Tumblr site that had since shut down; however, the owner couldn't resist resurrecting it today for one more post. "I'd intended for the post below to be the final one here, but then this just happened at Nelson Mandela's memorial service—not exactly a funeral, to be fair, but I'll just go ahead and take credit for the whole thing," the latest post reads. "Thank you, world, and good night!" 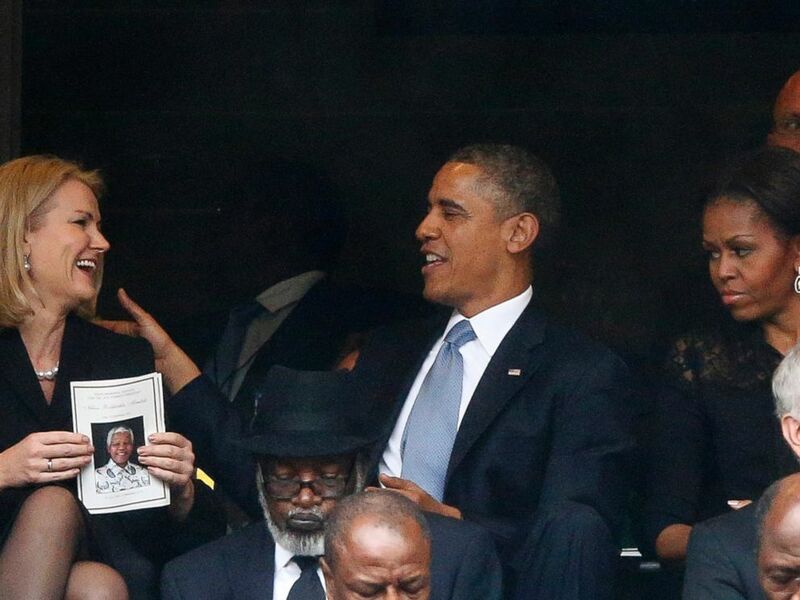 Danish Prime Minister Helle Thorning-Schmidt, US President Barack Obama and First Lady Michelle Obama attend the memorial service for Nelson Mandela at Soccer City Stadium in Johannesburg, Dec. 10, 2013. President Barack Obama and first lady Michelle Obama attend the memorial service for former South African president Nelson Mandela at the FNB Stadium in Soweto, near Johannesburg, South Africa, Dec. 10, 2013. Meanwhile, former president George W. Bush and his wife, Laura, kept their smart phones out of sight. 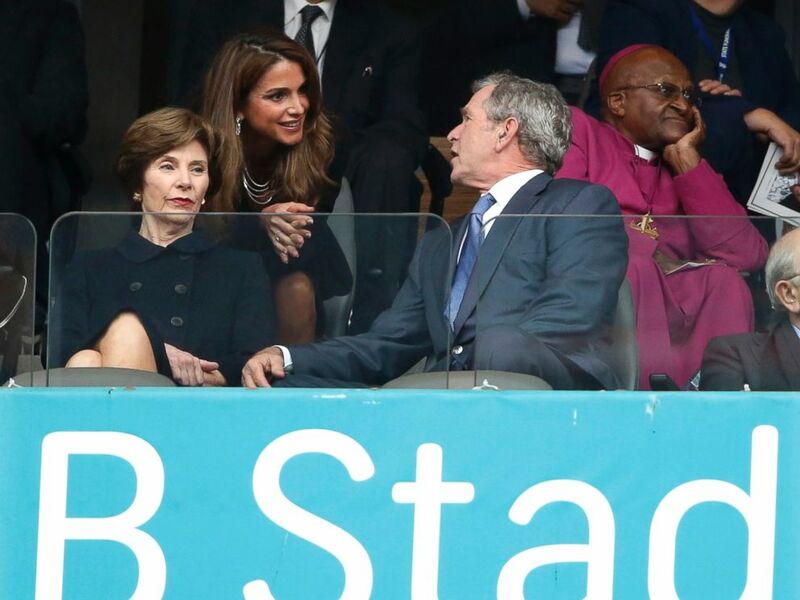 Jordan's Queen Rania, center, speaks with Former U.S. President George W. Bush and his wife Laura during the memorial service for former South African president Nelson Mandela at the FNB Stadium in Soweto near Johannesburg, Dec. 10, 2013.